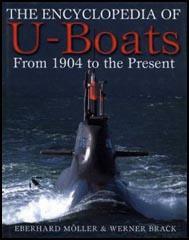 In the First World War the German Navy had great success with its fleet of U-boats. Derived from the word 'Unterseeboot' (underwater) it is estimated that these submarines managed to sink 192 boats and killing more than 5,400 people during the war. Under the terms of the Versailles Treaty in 1919, the German government was restricted to vessels under 10,000 tons, forbidden to own submarines and allowed only 1,500 officers. When Adolf Hitler became Chancellor in 1933 he implemented Plan Z, a ten year programme to develop a fleet capable of challenging the Royal Navy. The main emphasis was placed on the building of submarines and fast surface squadrons in order to be able to control Britain's vital trade supply lines. In 1935 Karl Doenitz was put in charge of the new U-Boats being developed. However he clashed with Hermann Goering who was unwilling to supply the necessary capital to spend on the navy. Doenitz said that he needed 1,000 submarines to win any future war with Britain but by 1939 he only had 57. After the capture of Denmark and Norway the German U-boats had bases on the Atlantic coast which put them much closer to British trade routes. At the beginning of the war the German Navy was equipped with the 750-ton Type VII U-boat. These proved too small for Atlantic operations and larger long-range types were later introduced. 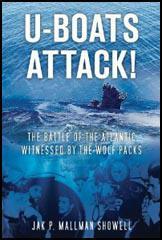 Between 1940 and 1943 U-boats took a heavy toll of Allied shipping in the Atlantic, Arctic and the Mediterranean. The Allies gradually began to introduce successful anti-submarine strategies. This included the convoy system, long-range aircraft patrols, improved antisubmarine detectors and depth charges. By May 1943 German U-boats were forced to withdraw from the Atlantic. In 1944 Karl Doenitz gave orders for a radically improved U-boat to be built. Working closely with Albert Speer, the Minister of Armaments, Germany were producing 42 of these all-electric boats a month by 1945. However, they were too late to make an impact on the outcome of the war. The Allies and neutral countries lost 2828 ships to the submarines of Germany, Italy and Japan during the war. The largest proportion of these were sunk by German U-boats. Of the 1,160 U-boats built during the Second World War, more than 350 were still in service at the end of the conflict. Between 3rd September 1939 and 8th May 1945, 785 U-boats were sunk. An estimated 32,000 crew members died in the war.